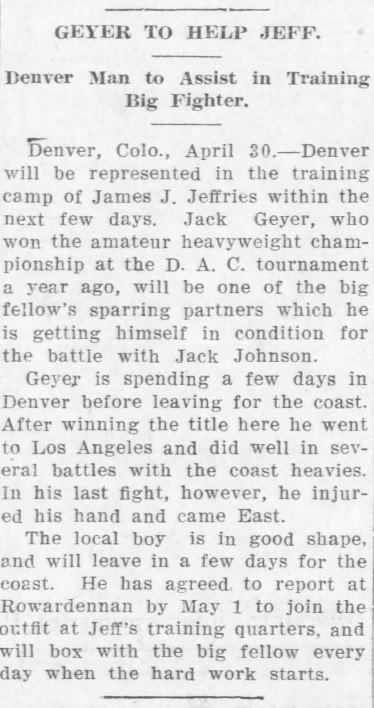 In this very informative book about "Denver" Jack Geyer, the author has provided a well-researched and detailed account of one of the better American heavyweight fighters during the teens years. 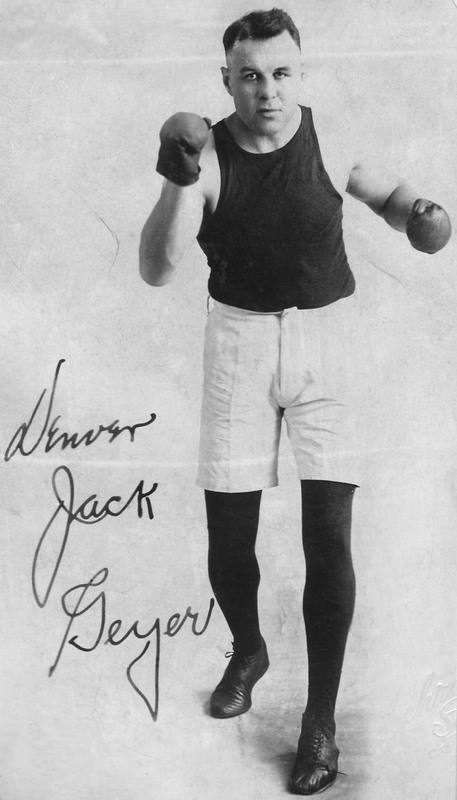 Geyer posted a solid ring record wih victories over such men as Ed "Gunboat" Smith (twice), Frank Moran, George "One-Round" Davis, James "Tut" Jackson and Rufe Cameron. 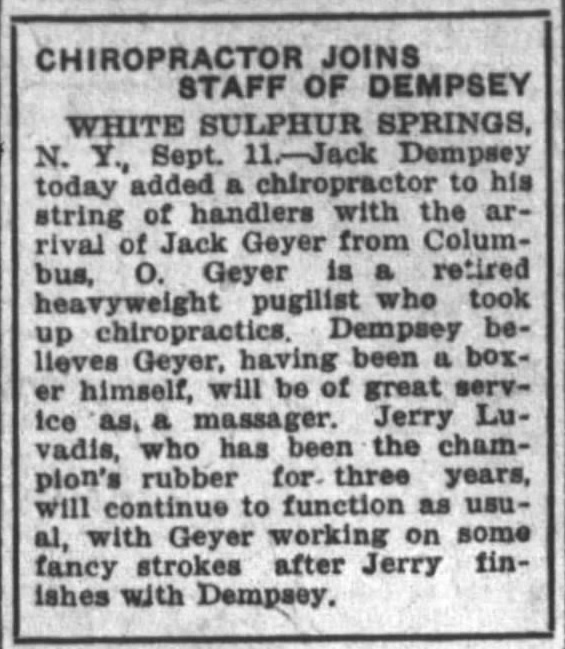 He also served as a sparring partner for champions Jack Johnson and Jack Dempsey. 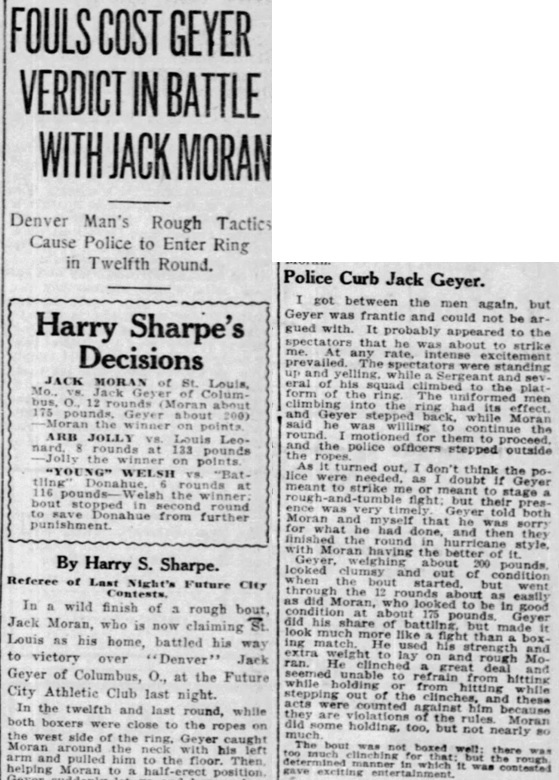 In addition to his ring career, "Denver" Jack was a bodyguard for the famous western hero, Tom Mix, and a Plant Security Guard at the Ford Motor Company in Detroit after his retirement from boxing. 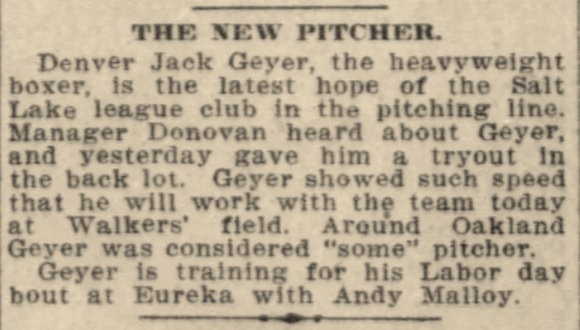 The author utilized newspaper accounts and "Denver" Jack's personal scrapbook in tracing his career. 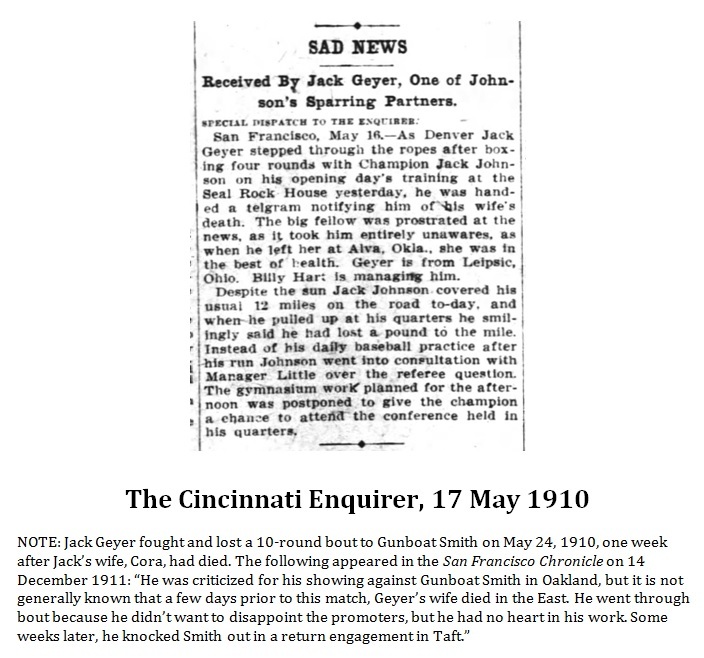 The book includes descriptions of his ring battles, occurences that involved his family and various endeavors and incidences in his personal life, and reads in an easy fashion enhanced by numerous photographs. 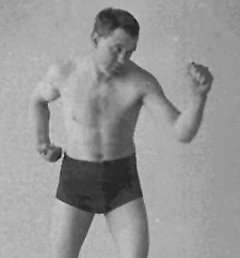 It contains a goldmine of information about this man and many of those he encountered during his life. 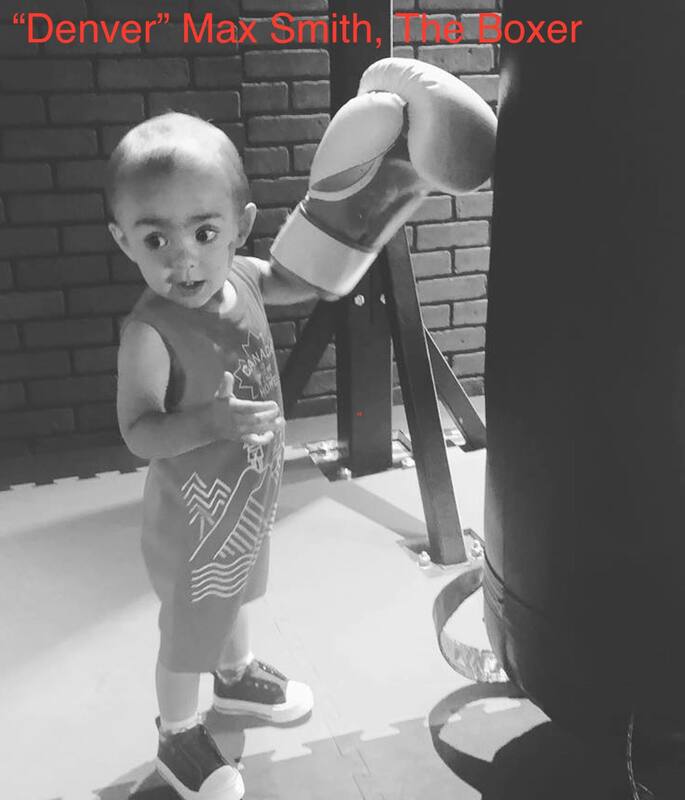 -Some sources report "D 4" against "Jim Cameron"
-Some sources report "NC 3"